Becky studied Politics and International Relations at Lancaster University, before converting to Law with the GDL at BPP University in 2015. She then completed the Legal Practice Course at the London Metropolitan University in 2017. She joined Wilsons in 2014 and became an immigration caseworker in 2016. 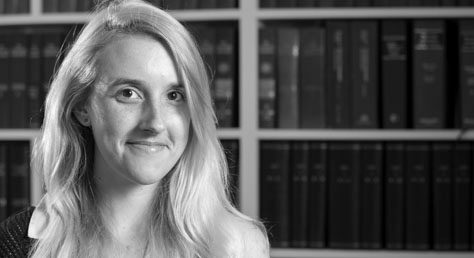 Becky became a trainee solicitor in November 2017. Before joining Wilsons, Becky volunteered with the firm Imran Khan & Partners and organisations such as Amnesty International, PlanUK and the Citizens Advice Bureau. Becky also has experience working with vulnerable individuals at the Y.M.C.A, local Homeless Shelters, Barnardo’s, and has volunteered in the legal departments at Magistrates’ courts and Borough and City Councils. Becky also works with the organisation Fuel Poverty Action, focussing on campaigns against social and economic inequality. Becky currently volunteers for Lifelines UK; an organisation that provides assistance and correspondence to those on death row in the United States. She also volunteers for the Trussel Trust, an organisation that assists in giving emergency food and supportive advice to people in crisis in the local community.